What does Business casual mean to you? Black pants and a button up? I want to share a story that took place over a 3-month period and it will explain why I will never wear jeans to a one to one again! I had a one to one with a President of a chapter. Now I knew this person very well and they knew me. I did not have any other appointments for the day and my office is in my home, so I threw on a pair of jeans to start the day. When my one to one rolled around, I did put on a nice sweater, but I left my jeans on, figuring the person I am meeting with would not care. I was corrected and found out Vince does not wear jeans to a one to one because it is a business meeting and he treated it as such. I didn’t think much of it, but with most things I learn, the idea sat in my head. So now I have the comment from Vince and the story from the guy from Texas (two people I highly respect) rolling around in my head. Here was the big A-Ha moment that changed my dress for the long term. Disclaimer, this meeting was focused on working together for business purposes. 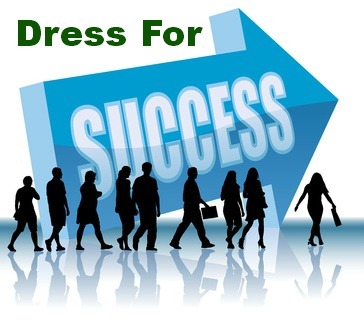 The dress code for BNI is dress appropriately for your profession. So his expectations were that of a business meeting not just a one to one with a member. When the person showed up, the person was in black pants and a nice top. I looked at Vince, but he was not paying attention, and I knew at that point I needed to reevaluate how I dressed for meetings. To top it all off, as we all sat together, the topic of how business professionals dress came up! What I learned at that point was you never know who you will run in to and you never know who you will be a first impression for. After the meeting Vince and I got in the car and took off. I was waiting for him to say something, but it didn’t even seem to be on his mind, so I brought it up. I let him know I was wrong about how the person we were meeting was going to dress, and with all the situations I had been in, and learned how much my dress plays a factor in to my professional world, that I would no longer where jeans to one to one, or any meeting for that factor! If you look back at old pictures of things that were new for that time, like airplanes or cruises, all the men getting on the plane or the boat had suits on and the women had big fancy dresses on. What has happened to being the best dressed person in the room? Or the good old saying, you can never be too dressed up. As I have changed what I wear for meetings or business functions I hear two things that I hope to hear for many years to come. “You clean up nice” and “I like the way you are dressed, you don’t see people dress up any more” As long as I keep hearing that I know I am not falling in with the crowd but rising above and choosing to dress to impress to further my career and relationships with business connections.